Where do the electrons go in STM? Nonlocal atomic manipulation by charge injection from an STM tip. 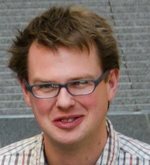 Dr Roger Bennett is an associate professor in Nanostructured Surfaces in the Department of Chemistry at the University of Reading. His research interests lie in the formation and growth of materials on surfaces from atomic through nano to mesoscale structures. He employs scanning probe microscopy and quantitative surface analytical tools to relate these structures to surface and interface properties and physical mechanisms in systems ranging from ultra-thin metals and metal oxides to proteins. He began his career at Imperial College studying a Physics BSc followed by a PhD in Surface Physics at Cambridge University (1995 with Prof R.E. Palmer). Since then he has been working at the University of Reading, firstly in Chemistry with Prof M. Bowker and then in Physics for seven years before returning to Chemistry in 2007. His current focus is split between the study of the molecular interactions that engender functionality in smart polymers and macromolecules on surfaces and on reducible transition metal oxide ultra-thin films. on the self-assembly of metal nanostructures at metal surfaces. 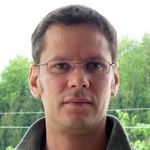 In 1998 he has been nominated Reader, in 1999 Associate Professor, and in 2003 Full Professor at EPFL. He is Fellow of the American Physical Society, Hans-Fischer Senior Fellow of the Institute of Advanced Study at Technical University of Munich, and Head of Natural and Engineering Science Division of the Swiss National Science Foundation. His research focuses on novel properties of nanostructures at single crystal surfaces and monolayer thin graphene, boron-nitride, and oxide films. The nanostructures are either created by self-assembly from the deposited atoms, or in the gas phase where they are size-selected and soft-landed onto the substrate of interest. Atomic scale control of the size and shape by STM and in-situ analysis of magnetic, catalytic, and electronic properties aim at a fundamental understanding with the perspective of atomic scale engineering of functionality. Richard Catlow is professor of Chemistry at University College London . His research interests are in the development and application of a computational and experimental techniques in materials chemistry and current work has a strong focus on catalytic and energy materials, including bulk and surface structures, reactivity and crystal growth processes. His work makes exrtensive use of High Performance Computing Facilities and both synchrotroan and neutron scattering techniques. 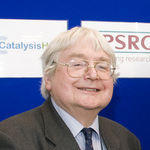 He is currently the PI of the Catalysis by Design theme within the UK Catalysis Hub. Hans-Joachim Freund is a scientific member and director at the Fritz-Haber-Institut der Max-Planck-Gesellschaft in Berlin where he is head of the Department of Chemical Physics. The department is dedicated to the study of model catalysts, applying a large number of techniques and instruments, some of which were newly developed within the department to investigate oxide surfaces and oxide metal interfaces. He serves as Adjunct Professor at five universities in Germany and UK. He received the Gottfried Wilhelm Leibniz Award of the German Science Foundation (DFG) and the Karl-Ziegler-Award of the German Chemical Society. In 2012, Hajo Freund was awarded the Blaise Pascal Medal in Material Science of the European Academy of Sciences. He is Centenary Lecturer of the Royal Society of Chemistry, United Kingdom and the recipient of the Gabor A. Somorjai Award of the American Chemical Society. He is a regular member of the Chemical Sciences Section of the Academia Europea, the Berlin-Brandenburgische Akademie der Wissenschaften, the Academia Brasileira de Ciencias, the German National Academy of Sciences Leopoldina, and the Chemical section of the Hungarian Academy of Sciences. Hajo Freund holds an honorary Doctorate from University Aix Marseille, France. In 2014, he received the Gaede-Langmuir Award of the American Vacuum Society and is the recipient of the 2015 Michel Boudart for the Advancement of Catalysis, sponsored by the Haldor Topsøe Company and administered by the North American Catalysis Society and the European Federation of Catalysis Societies. He is Fellow of the American Physical Society and of several scientific societies; member of several advisory boards of scientific journals, has published more than 710 scientific papers with more than 30.000 citations and given more than 680 invited talks. He has held a number of named lectureships around the world. Hajo Freund is a founding member of the Scientific Council of the European Research Council. He has educated more than 120 PhD students and collaborated with more than 70 postdoctoral associates. Leo Gross has been a Research Staff Member at the IBM Research - Zurich Laboratory since 2009. He is working together with Dr. G. Meyer atomic/molecular manipulation by scanning tunneling microscopy (STM) and atomic force microscopy (AFM), and on nanostencil lithography. 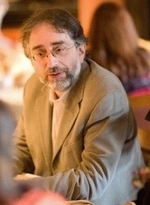 Leo Gross has been with the IBM Research - Zurich Laboratory since 2005. He originally joined IBM Research as a post-doc in the group of Dr. G. Meyer. Leo Gross received his PhD in Physics in 2005 from the Free University of Berlin in the group of Prof. K.-H. Rieder and his Diploma in Physics in 2001 from the University of Muenster, in the group of Prof. H. Fuchs. Leo Gross received the Feynman Prize for Nanotechnology in 2012 and the Gerhard Ertl Young Investigator Award in 2010. 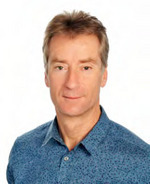 David Jesson is Chair of Experimental Physics at Cardiff University. His research is centred on the use of novel electron microscopy techniques to study the growth mechanisms of semiconductor thin films and nanostructures. His recent work has involved the design and application of a III-V low energy electron microscope (LEEM) which can make nanoscale movies of compound semiconductor growth in real-time. 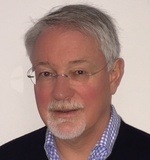 Quentin Ramasse is the Scientific Director of the SuperSTEM Laboratory, the EPSRC National Facility for Aberration-Corrected Scanning Transmission Electron Microscopy, and visiting Associate Professor at the University of Leeds. He obtained his Ph.D. in Physics from the University of Cambridge as a member of the Microstructural Physics Group. Before taking up his post at SuperSTEM he held a Staff Scientist position at the National Center for Electron Microscopy (NCEM) in Berkeley, a U.S. Department of Energy-funded user facility where he took part in the TEAM project which saw development on the world's first 0.5A electron microscope. 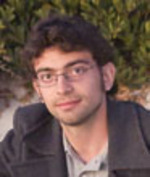 Quentin Ramasse has published extensively in the field of STEM-EELS, with a dual focus on STEM technique development and on applications to materials, most particularly in the field of 2-dimensional materials. Petra Rudolf studied Physics at the La Sapienza, University of Rome, where she specialized in Solid State Physics. In 1987 she joined the National Surface Science laboratory TASC INFM in Trieste for the following five years, interrupted by two extended periods in 1989 and 1990/1991 at Bell Labs in the USA, where she started to work on the newly discovered fullerenes. In 1993 she moved to the University of Namur, Belgium where she received her PhD in 1995 and then quickly progressed from postdoctoral researcher to lecturer and senior lecturer before taking up the Chair in Experimental Solid State Physics at the University in Groningen in 2003. Her principal research interests lie in the areas of condensed matter physics and surface science, particularly molecular motors, graphene, organic thin films and inorganic-organic hybrids. Prof. Rudolf serves on the editorial boards of the New Journal of Physics and of EPL. She was the President of the Belgian Physical Society in 2000/2001 and was elected Fellow of the Institute of Physics (2001), Lid van verdienst of the Dutch Physical Society (2006) and Fellow of the American Physical Society (2010). For her work on molecular motors she received the 2007 Descartes Prize of the European Commission. In 2013 she was knighted by H.M. Queen Beatrix of the Netherlands. 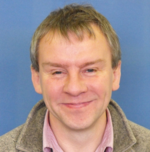 Dr Peter Sloan joined the University of Bath in 2010 as a Lecturer in Experimental Physics. He was awarded a PhD in Physics from the University of Birmingham in 2004. He worked as a Royal Society research fellow with the Nobel Prize winning chemist Prof John Polanyi at the University of Toronto, and as a Research Officer at Birmingham. His research interests lie at the boundary of physics and chemistry and explore the possibilities of controlling and manipulating individual atoms and molecules. Presently he is focused on extending the control over matter at this atomic level through the development of a new form of atomic manipulation. Professor F. Stefan Tautz obtained his PhD in Experimental Low Temperature Physics at the Cavendish Laboratory, University of Cambridge, in 1994. After a Postdoc at the University of Amsterdam he moved to the University of Technology in Ilmenau, Germany, in 1995, where he started his surface science work, soon focussing on interfaces between metals and pi-conjugated organic molecules. In 2001 he became a member of the founding faculty of International University Bremen (Jacobs University Bremen as of 2007). Since 2007 he has been at Forschungszentrum Jülich, as a Director of the Peter Grünberg Institute, and heading the Institute ‘‘Functional Nanostructures at Surfaces’’. His research interest is exploring and extending the limits of nanoscale engineering. Qi-Kun Xue born in 1963, received his BSc in Shan-Dong University in 1984, and PhD degree in condensed matter physics from Institute of Physics, the Chinese Academy of Sciences (CAS) in 1994. From 1994 to 2000, he worked as a Research Associate at IMR, Tohoku University, Japan and a visiting Assistant Professor at Department of Physics, North Carolina State University, USA. He became a professor at Institute of Physics, CAS in 1999. He was elected into The Chinese Academy of Sciences in 2005. Since 2005, he has been a professor in Department of Physics, Tsinghua University. From 2010 to 2013, he was the Chair of Department of Physics and the Dean of School of Sciences. He became the Vice President for Research in May 2013, Tsinghua University. He won the TWAS Prize in Physics in 2010. His research interests include scanning tunneling microcopy/spectroscopy, molecular beam epitaxy, low-dimensional and interface-related superconductivity, topological insulators, and quantum size effects in various low-dimensional structures. He has presented more than 100 invited/keynote/plenary talks at international meetings/conferences, such as American Physical Society March Meeting (1996, 2005, 2010, 2012, 2014). Currently, he is on the Editorial Board of Physical Review B, Applied Physics Letters, Journal of Applied Physics, Surface Science Reports and AIP Advance.